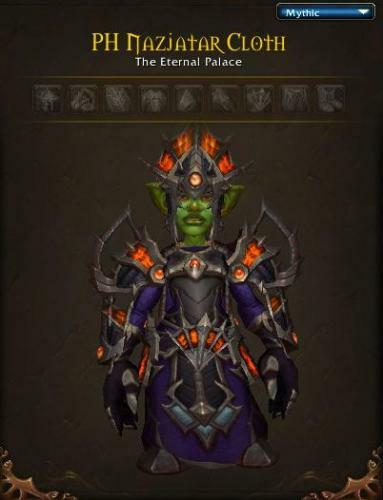 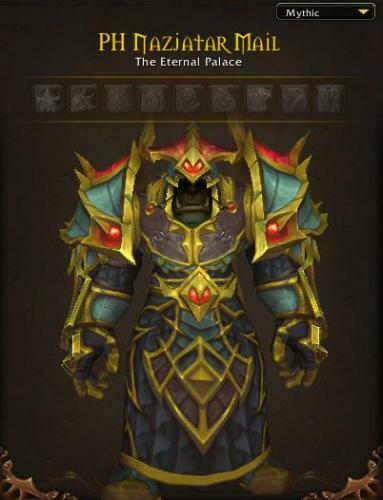 In this article, we're taking a closer look at sets dropping in the new Eternal Palace raid coming in Rise of Azshara. 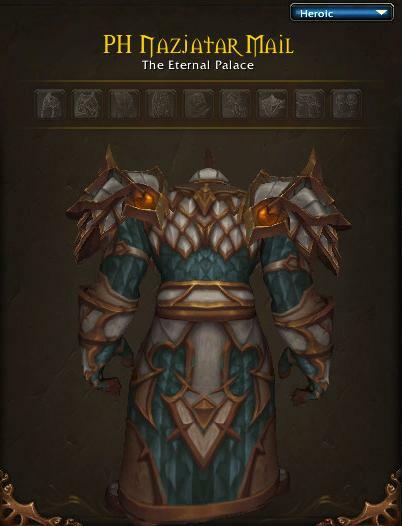 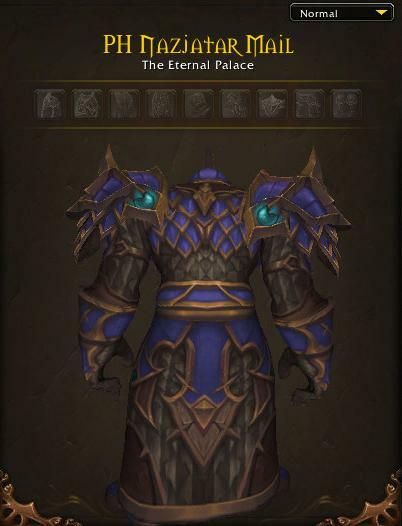 They got rid of class tier for these forgettable generic armors. 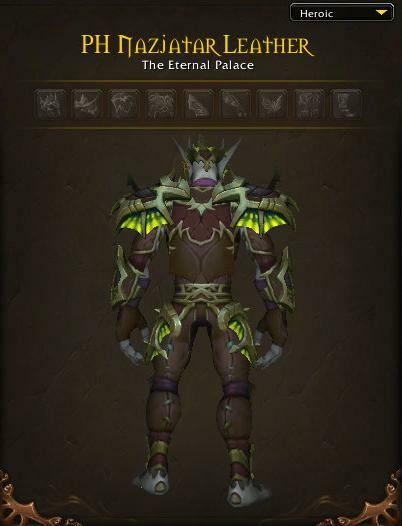 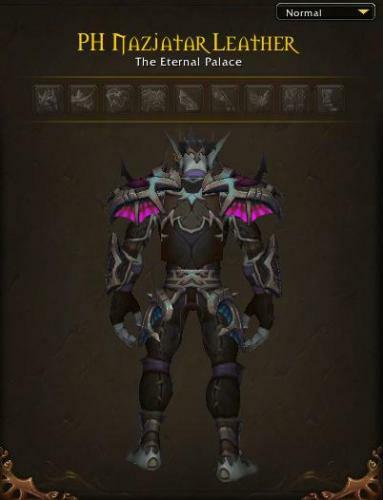 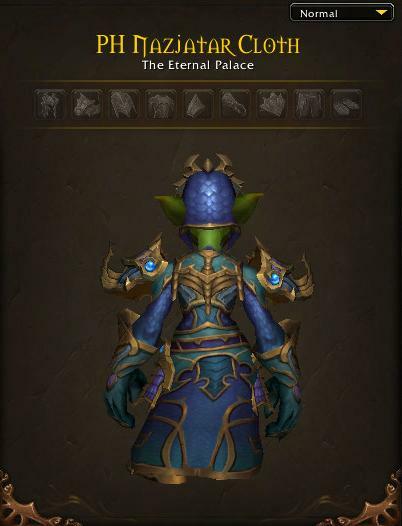 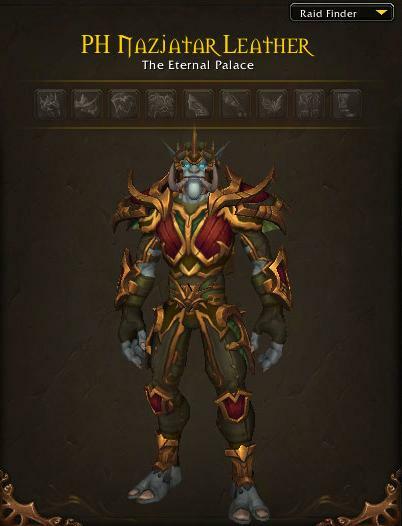 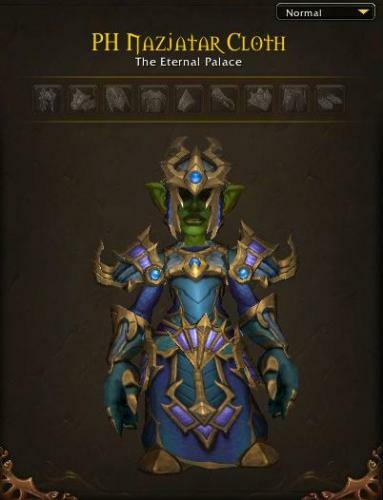 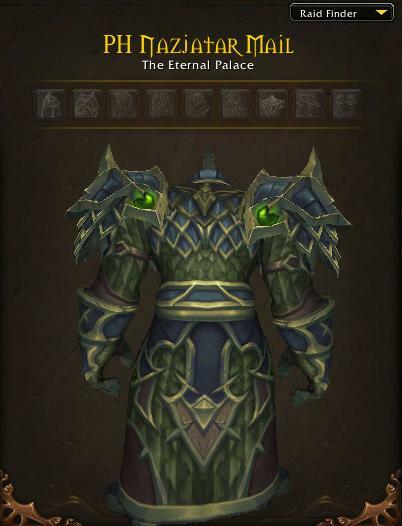 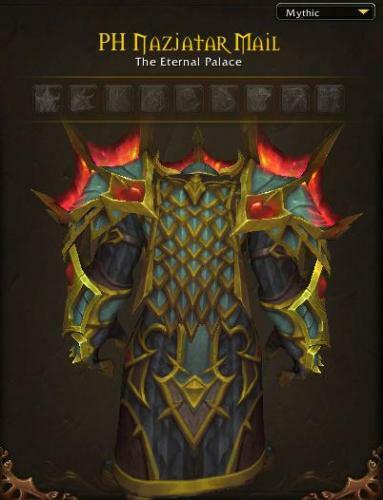 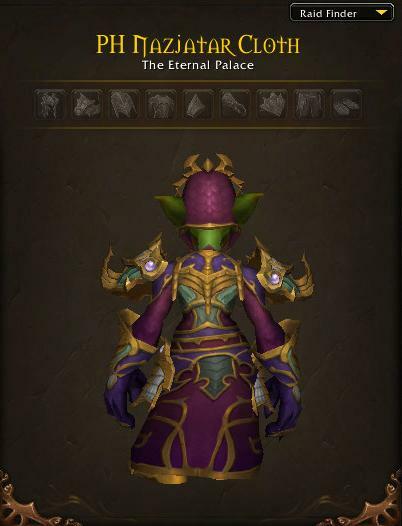 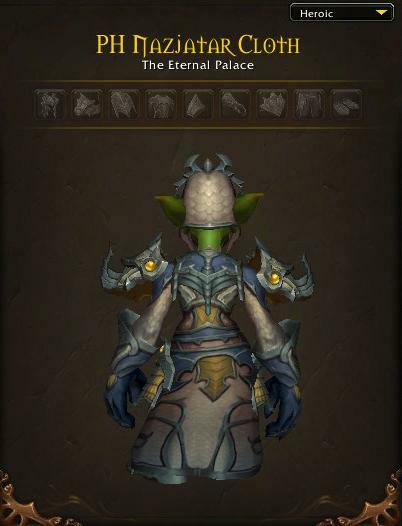 These are almost as dumb as Siege of Orgrimmar armor. 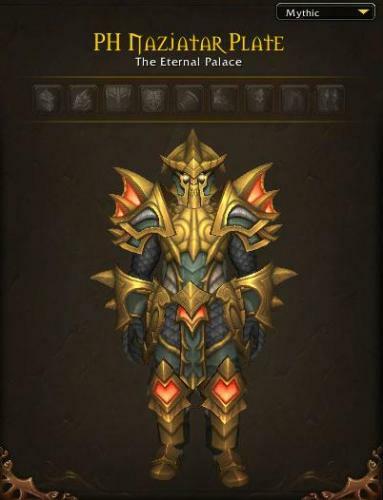 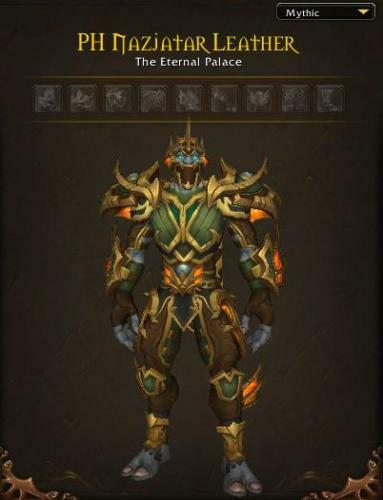 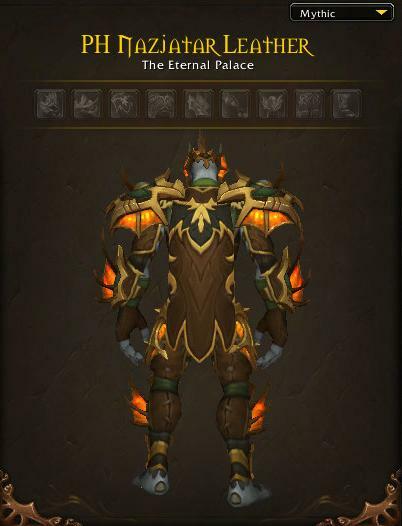 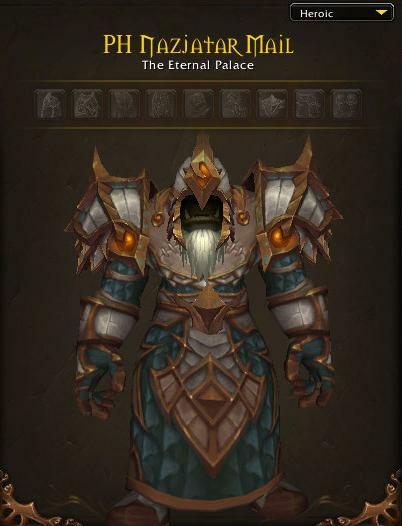 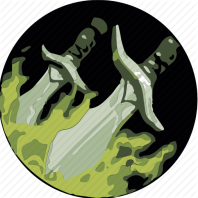 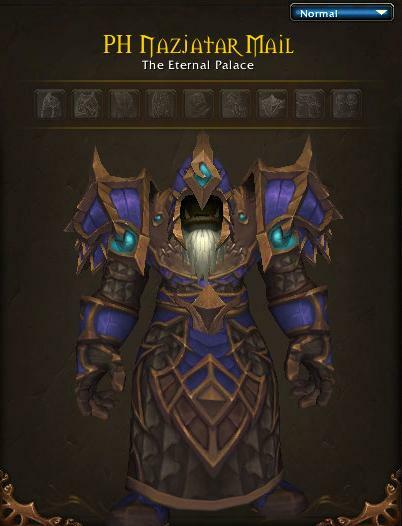 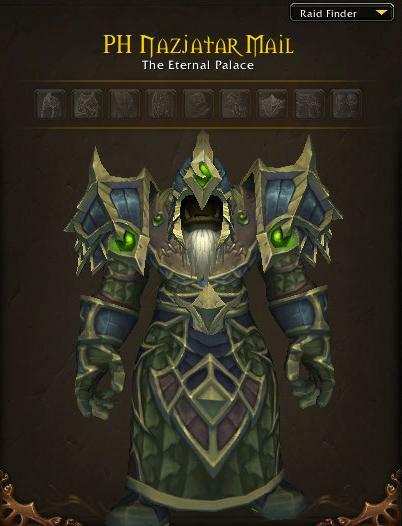 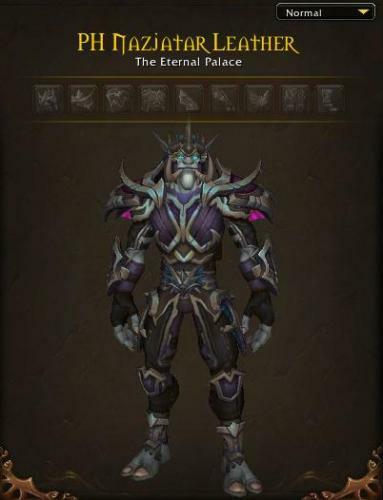 Mind you, most of the class tier sets were also forgettable, they were about ever-increasing shoulder size and lately adding enormous amount of special effects. 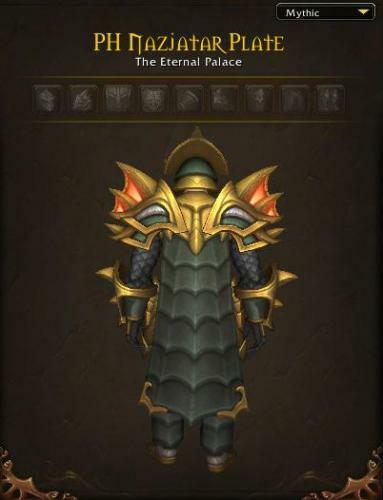 The mythic plate armor is not that bad here actually - it has kind of an Aquaman vibe to it. 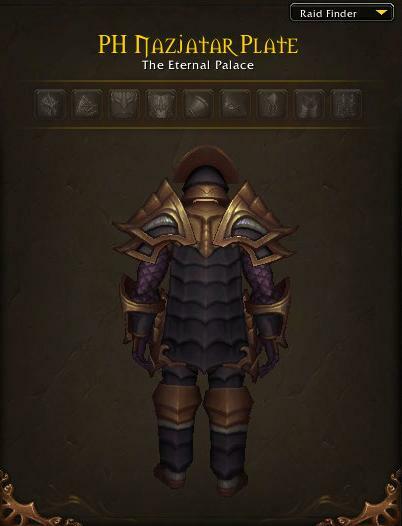 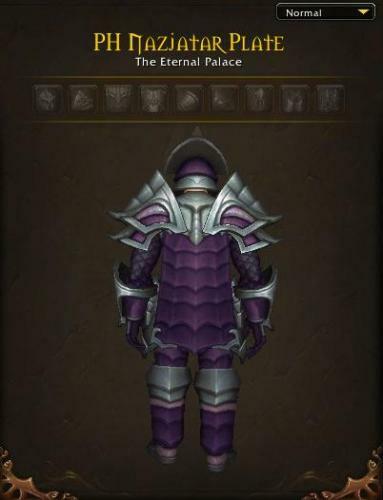 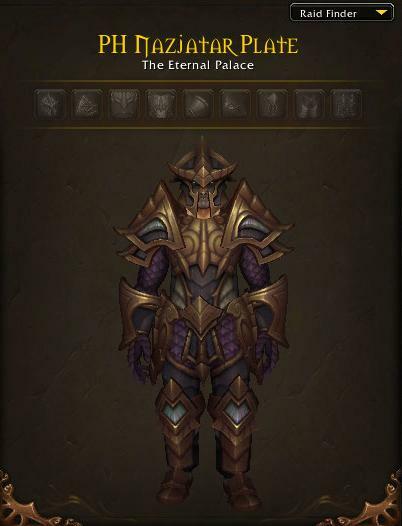 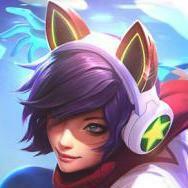 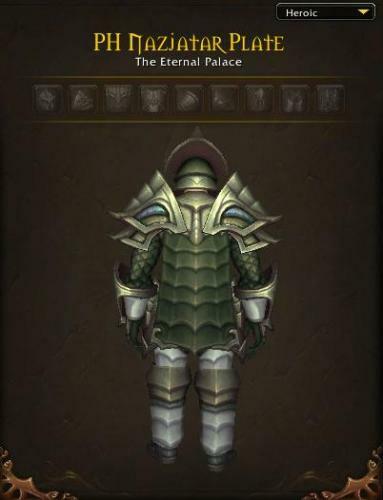 These armor sets look so loveless that´s so sad. they've really given up on armor design haven't they? 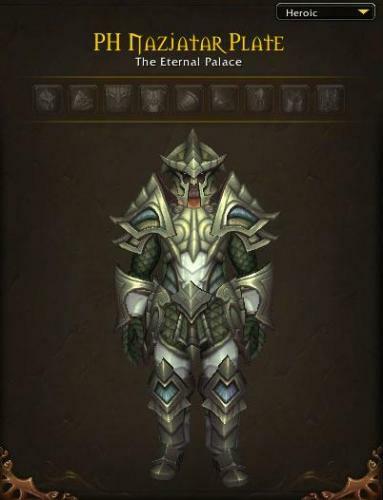 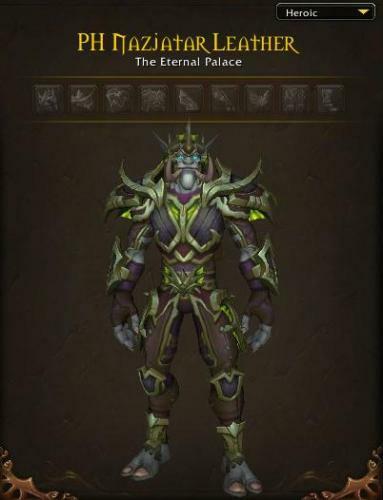 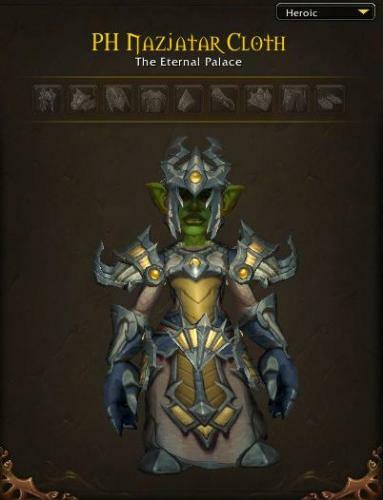 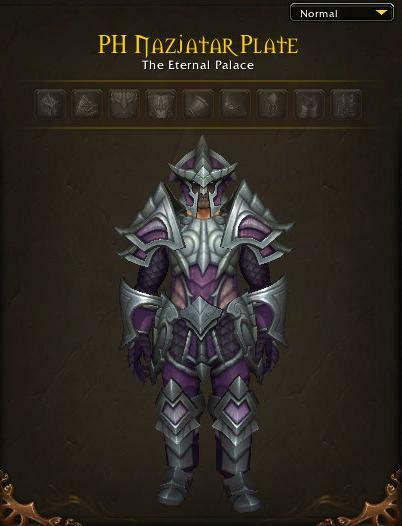 The mythic armor seems ok but i would still mog over it. 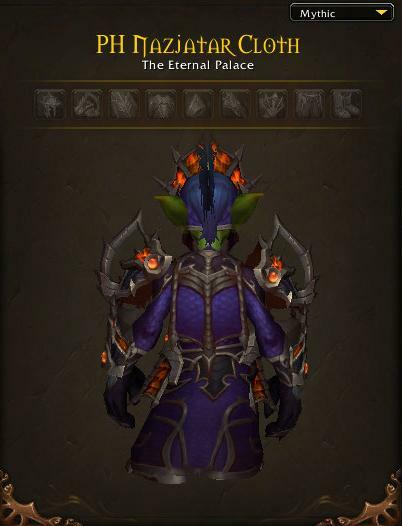 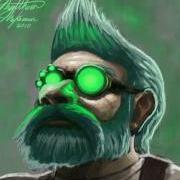 Might wear mythic for a few days but thats it, the rest of the tiers are an immediate transmog for me. Think these look horrible and basic; very similar the basic concept of the Uldir sets.